On a beautiful sunny Saturday in early January, we held our first garden party of the Winter Quarter and it was a wild success! Over 50 participants came through the PICA garden. 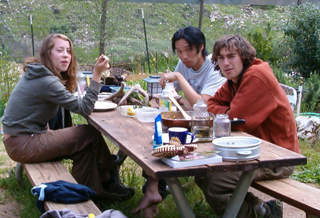 We started in a large circle where we munched on bagels and sipped CAN coffee while we shared about what had brought us there. Simone had us all laughing together before we got our hands in the earth. 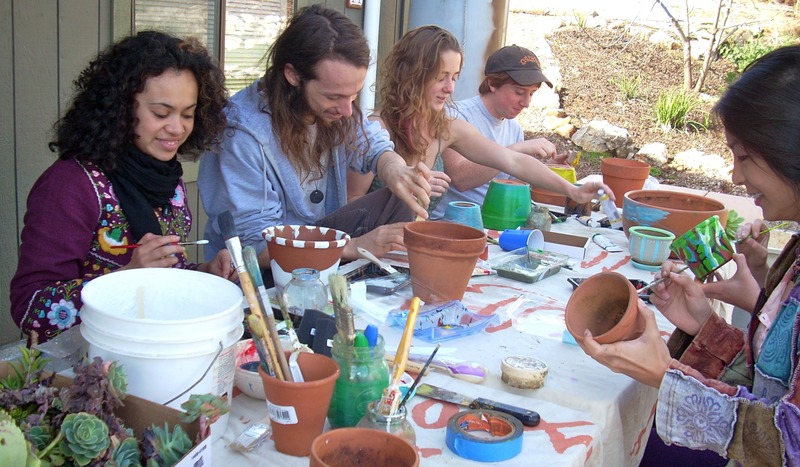 I set up art supplies on a large picnic table for everyone to be able to decorate terra cotta pots and plant their own succulents in them to take home. We squeezed acrylic paint on to reused plastic pallets and mixed the bright colors with wet bushes. We hung out together as we painted and chatted about life. There were images of octopus and the cycles of the moon and flowers and even pictures of sheep that were painted on the pots. I took a break and wandered into the kitchen where students were chopping up garlic and cooking up yummy goodness. 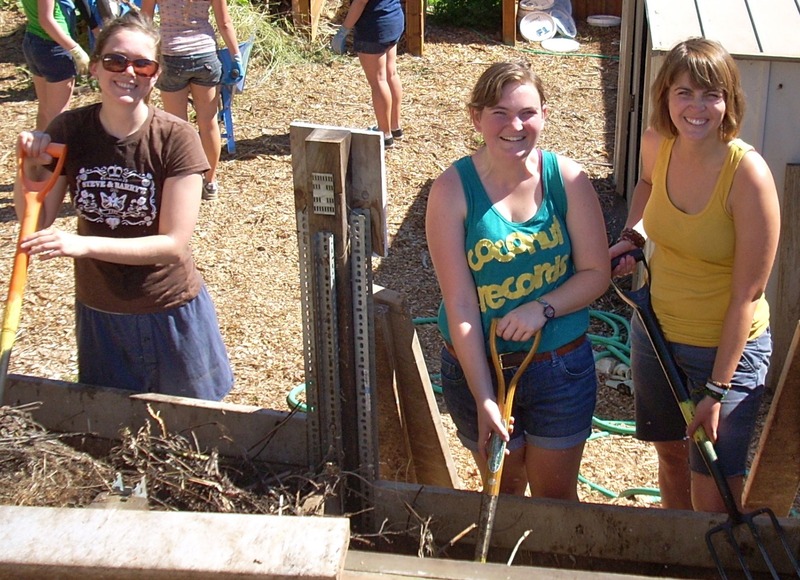 Outside at the compost area, there was a girl standing ankle deep in compost with a hayfork. I peeked in the greenhouse and students were turning the earth under the planting tables. 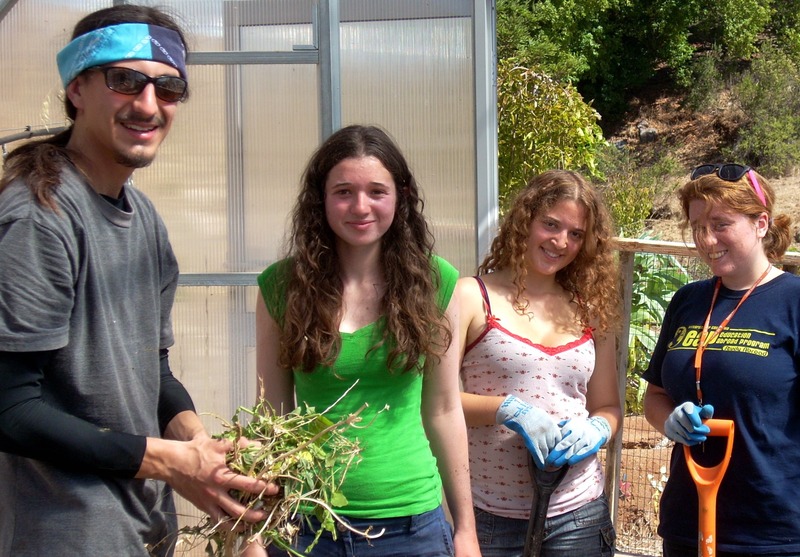 In the Foundational Roots Garden, other students were pulling up green weeds. Back at the succulent table, a new round of painters were creating beauty to take home. 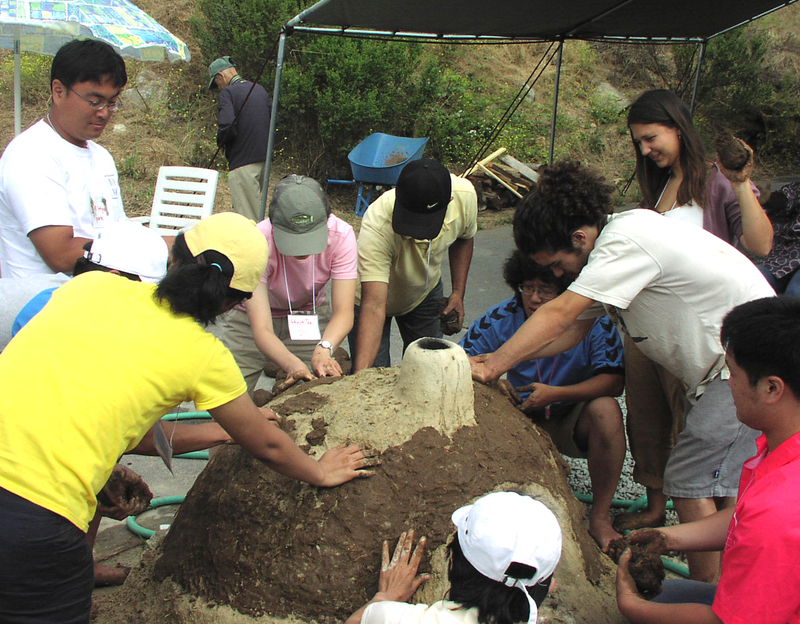 When their terra cotta pots were dry, the students mixed sand and potting soil together then buried the bottom tip of their favorite succulent gently in the soil. Succulents are amazing as they are easy to propagate; many succulents can be rooted from a leaf alone, and others will root quickly from just a stem cutting. I love these plants! At the end of the workday, there was a delectable organic lunch served. We feasted to our belly’s delight on polenta, lentil flat bread, chutney, tasty salad and roasted prickly pear cactus. As we gathered together for food, we were serenaded by the sounds of live accordion music. I felt as if I was in the movie Amelie. I noticed, on that bright Saturday, that food always seems to taste better after you have been working in the garden all morning. I want to invite everyone to come down to PICA for our Garden Workdays. The activities are super fun and the food is delicious. They happen every Saturday from 10am to 2pm at the A-Quad at the Village. All are welcome. 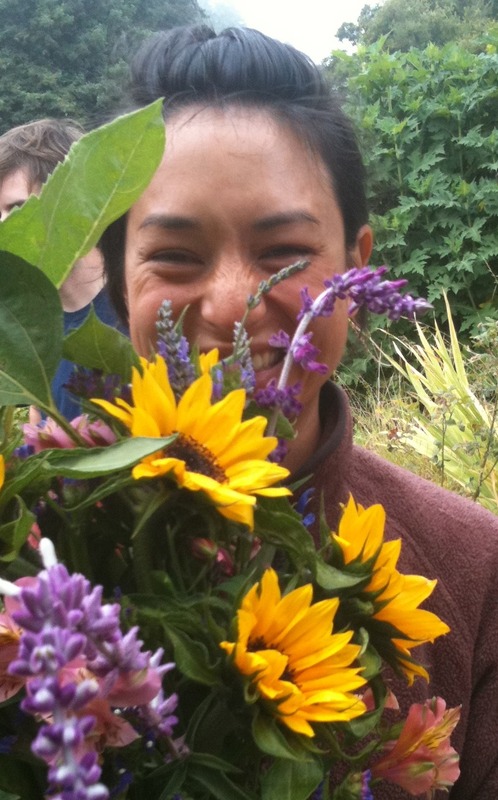 Mira Michelle is the newest member on staff at the Program in Community and Agroecology. She has worked in the field of education for the past ten years, teaching in the public and alternative schools. 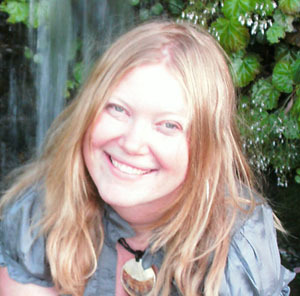 She has worked for the Estate of Buckminster Fuller and is passionate about sustainability, food and community. She is also an active visual artist. She was the Museum Pick for the International Museum of Women and her paintings had been published in the We’Moon datebook and calendar. She is interested in the intersection of art, sustainability, and education. Comments Off on Winter Garden Party! Life begins in the compost. It begins with the tiny microorganisms, which ultimately bolster the immune system of the garden and even with the snakes that capture the critters which enter the garden uninvited. I have come to see the compost as a process of recycling, of putting back into the earth each week a little of what we have taken from it. It is a necessary part of sustainability. While living and working at PICA, I have come to appreciate what the many different types of compost contribute to the process. Currently, the PICA compost system includes six [one cubic yard] bins. On Saturday workdays and Thursday seminar, PICA students and visitors collaborate with one another in building, turning, and sifting compost. The PICA compost system is aerated and rotated about once every week, taking approximately six weeks per pile from start to finish. The compost is com posed mainly of food scraps collected from each house within the village (and occasionally supplemented by those from the trailer park), horse manure, hay, and weeds. 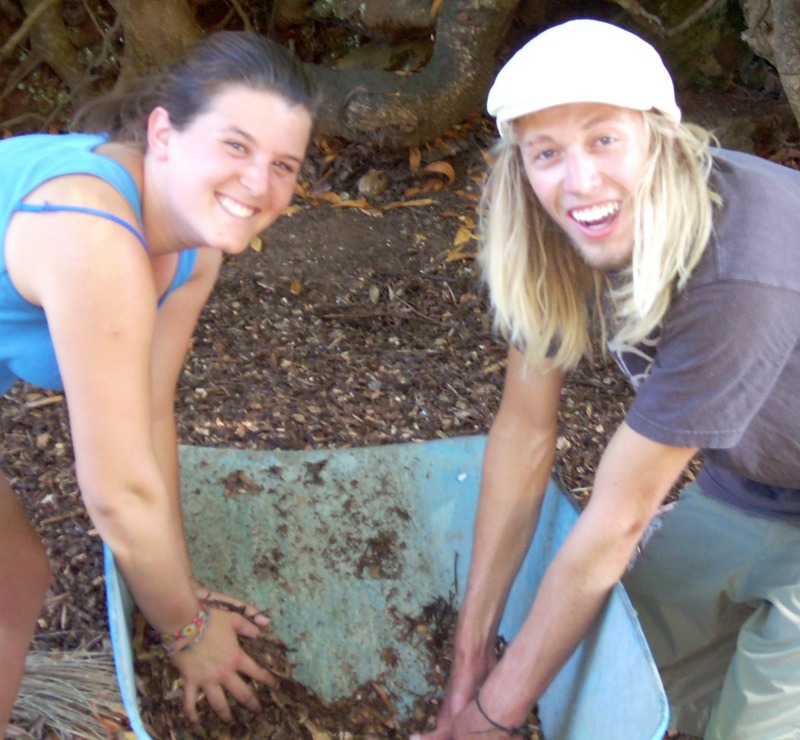 The PICA compost system is integral to the ideology of sustainability in our intentional community. Reducing waste and our negative footprint on the planet is important to us, and I am grateful to be involved with a community that offers an opportunity to live with sustainability-minded residents who work towards proactively achieving goals. Just as modest microorganisms provide a solid foundation for the garden, this community has symbiotically sustained me in more ways than one. 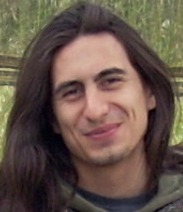 Anthony Garza is PICA’s Compost Coordinator extraordinaire. Anthony lives at PICA and serves as one member of the PICA Leadership Team. I came to Santa Cruz in April, after over a decade in New York City, where I’ve been writing a dissertation in English literature. My training, and my teaching, have for the most part taken place in a very formal setting on a very formal campus – Columbia University. But there’s another part of me, older than dirt, that’s always been drawn to growing food. 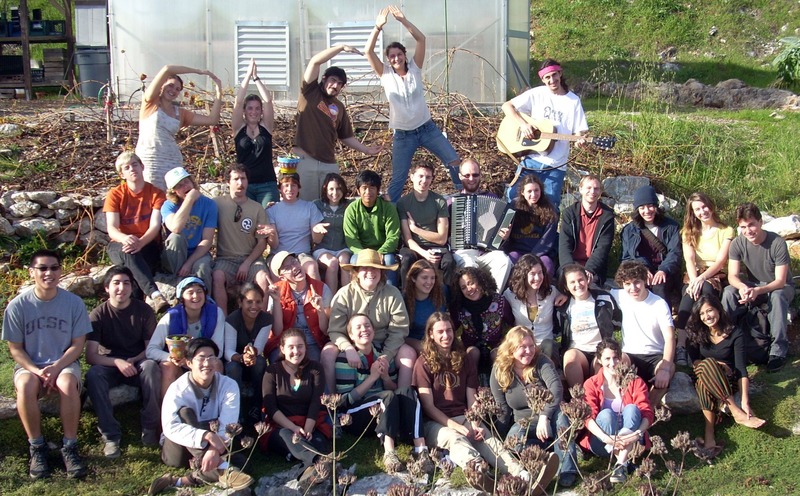 I spent a glorious, swampy, black-fly-ridden summer apprenticing on an organic farm in Maine in 1996, and have been working on farms on and off ever since. The bulk of my adult life has run on parallel tracks, farming and academic work, and until recently, intersections between these two aspects of my life were both rare and somewhat uncomfortable. In the past I’ve felt awkward, as a PhD student, showing up to teach class with dirt under my fingernails or, as a farm hand, trying to explain that I needed a Friday off to present a conference paper on Shakespeare. 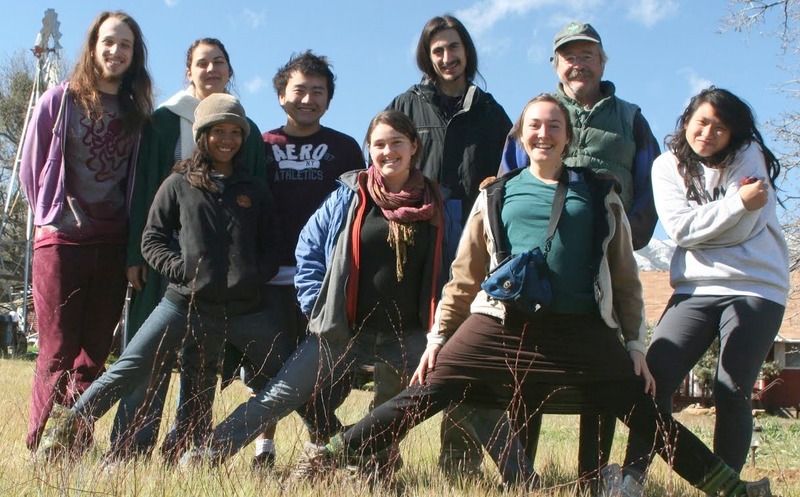 I came to UCSC hoping to bring these spheres closer together, initially through the apprenticeship in Ecological Horticulture at the UCSC Center for Agroecology and Sustainable Food Systems, and now through teaching the PICA Seminar. 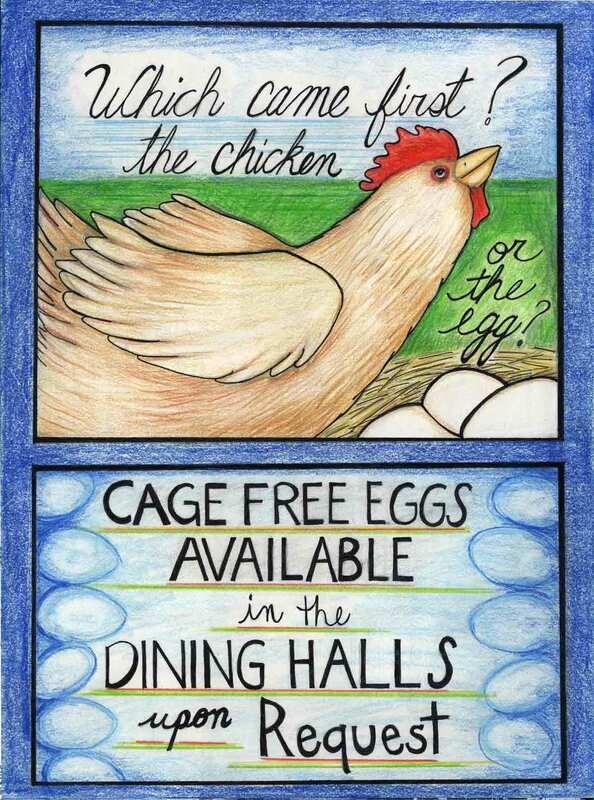 Working at PICA has been a very different kind of teaching experience for me, and one that I’m savoring on many levels. As an instructor, it feels amazing to be able to teach in muddy boots instead of high-heeled ones, and for the first time, I feel like I’m able to bring my full self into the classroom. I believe that the slow emergencies of environmental crisis ultimately stem from our values, beliefs, and ideas about the relationship between humans and the natural world. Increasingly, it’s clear to me that we can’t solve these problems without understanding and critiquing them, or without the capacity to imagine or perceive the real joys of an alternate way of doing things. The PICA seminar allows me to welcome these joys, the pleasures and perils of working with the land, into the classroom community. Sifting compost in the rain, mulching berries on a clear day with a view out over the bay, digging, weeding, pruning, saving seed: work in class can help us see the why of sustainable food production, but through work in the Foundational Roots Garden, and the 25-acre UCSC Farm & Garden, we start making our way to the how. Many farm advocates have talked about the necessity of restoring a sense of dignity to the profession of farming. 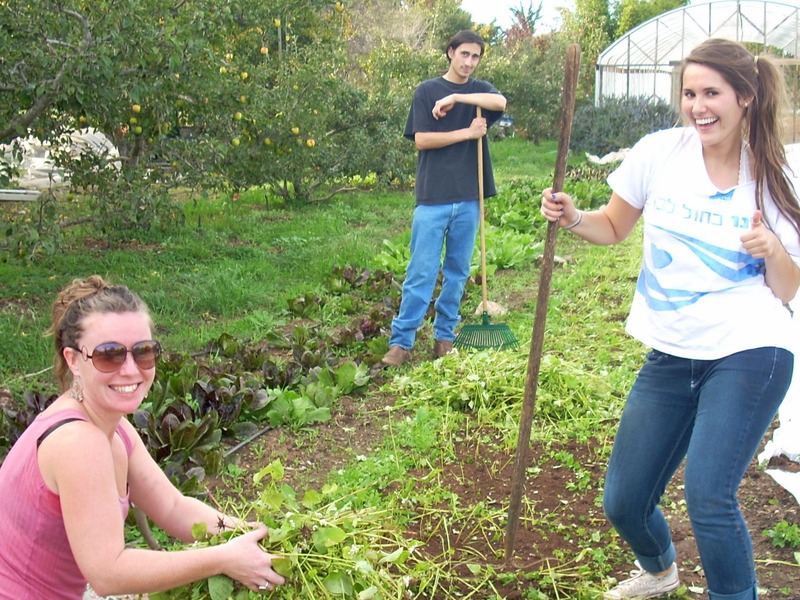 One important way of shifting the place of farmers in the public imagination is by continuing to put farms and gardens on college campuses, to highlight the intellectual agility and constant problem solving that sustainable agriculture demands. I thank my students and the staff at PICA for showing me what’s possible when we work collaboratively with one another, and with the different capacities and aptitudes we all hold within ourselves. 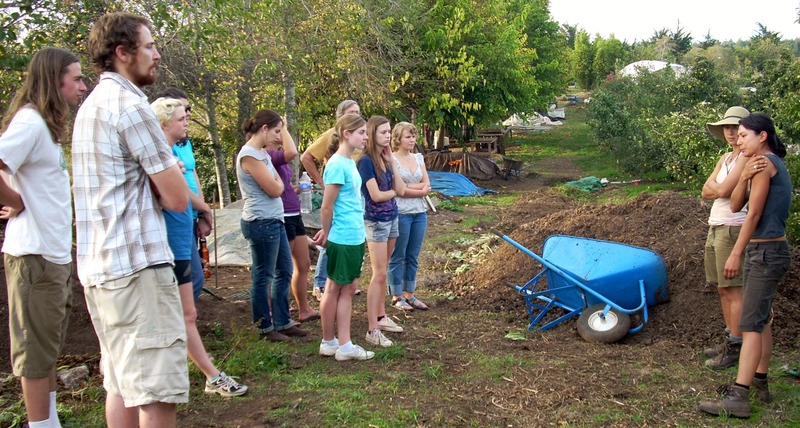 Saskia Cornes helps to run a two-acre, hand-scale, organic market garden at the Center for Agrocecolgy and Sustainable Food Systems. She is also a PhD candidate in English and Comparative Literature at Columbia University, where she writes about changes in agricultural practice and land stewardship as reflected in the literature of the age of enclosure. I haven’t lived at PICA for 5 years, yet it feels like yesterday. Probably because most of the people I communicate with are PICA alums still. Like that potluck yesterday, beer tasting last weekend, or the woman I live with now. Likely because I loved PICA and everyone there, and I was loved back. PICA holds such a special place in my heart because I grew so much there. Not just the bunches of kale, but me personally. I didn’t even know how to garden (I killed potted plants regularly), or how to cook (pasta with pre-made pasta sauce was a staple food of mine), or how to communicate effectively before I lived there. I actually wasn’t confident that I could learn those skills, but I really wanted to, and that desire was all I needed. Sure there was burned communal foods and mistakes along the way, but it was well worth it. I still remember when John Drips and I decided, in March or so, that what PICA really needed was to start community meetings to help encourage minor conflict resolution. Neither of us had run a meeting or facilitated non-violent communication before, but PICA seemed like the perfect time to learn by doing, and so we did. It was pretty awkward at first, but it got better. It was out of that spirit of wanting to create and help the community, that I was propelled to try anything at PICA, even if it meant failure, and that is what taught me the most. Since being at PICA, I have primarily worked as an organizer. 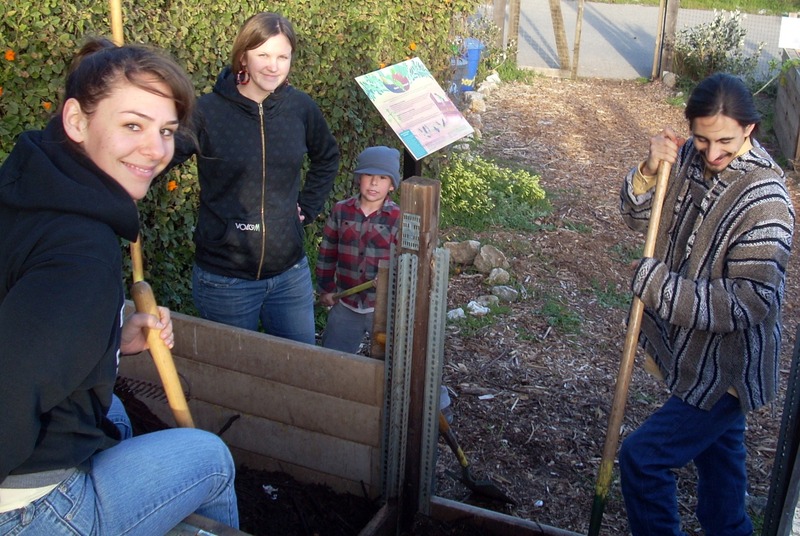 Community gardens equal a convenient transition to community organizing. Besides a couple of gardens that I created on the East coast, my work has rarely involved vegetables or compost.But it has required a lot of energy, and a willingness to try despite the possibility of failure, and regularly. The last two years, my most exciting times have been when failure loomed as a real possibility, like a press conference where none of the media could find the location, or a service day where we had 180 volunteers show up but only had planned for 80. I poured myself into getting Congressional votes needed to pass healthcare reform and federal global warming legislation (ACES). Yet neither of these efforts went the way I’d hoped, and the compromises that happened along the way leave a lot of progressives feeling like “we” failed. But I don’t feel that way at all. I am extremely proud. We’re laying the groundwork. Our work is not done. If anything, these setbacks teach me that we need more people who are willing to put themselves on the line more. Thank you PICA for growing activism from the ground up. Keep doing beautiful, bold, inventive things, it starts here! 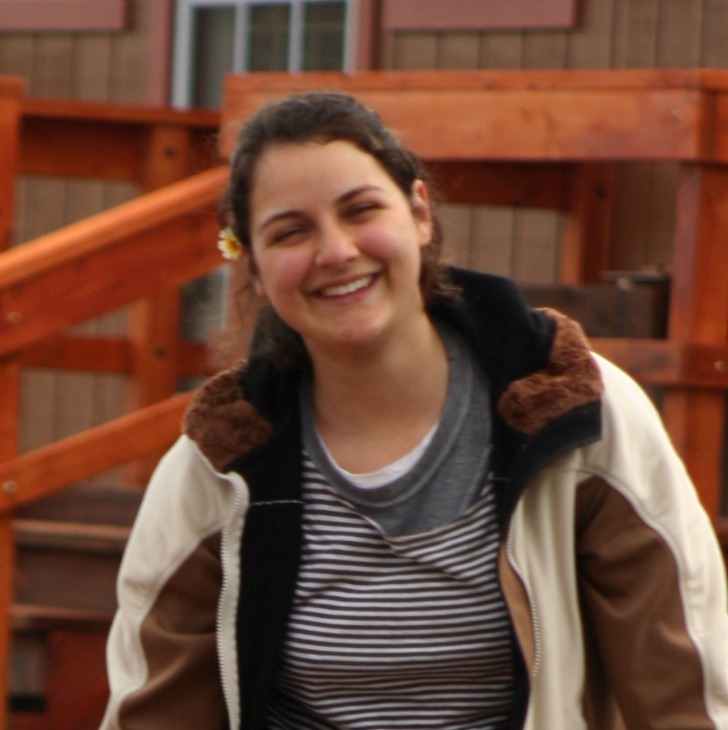 Katie Roper, is the UCSC CALPIRG and Energy Service Corps Director. By teaching students how to organize and affect social change, she hopes to promote a community of activism. Hidden below in the depths of the lower quarry is PICA, and so fitting is our location. This quarry supplied parts of San Francisco’s architecture with its stone resources, and now here we are tucked into the dug hole that remains, like a tree planted in soil, rich with a history of organisms and life. 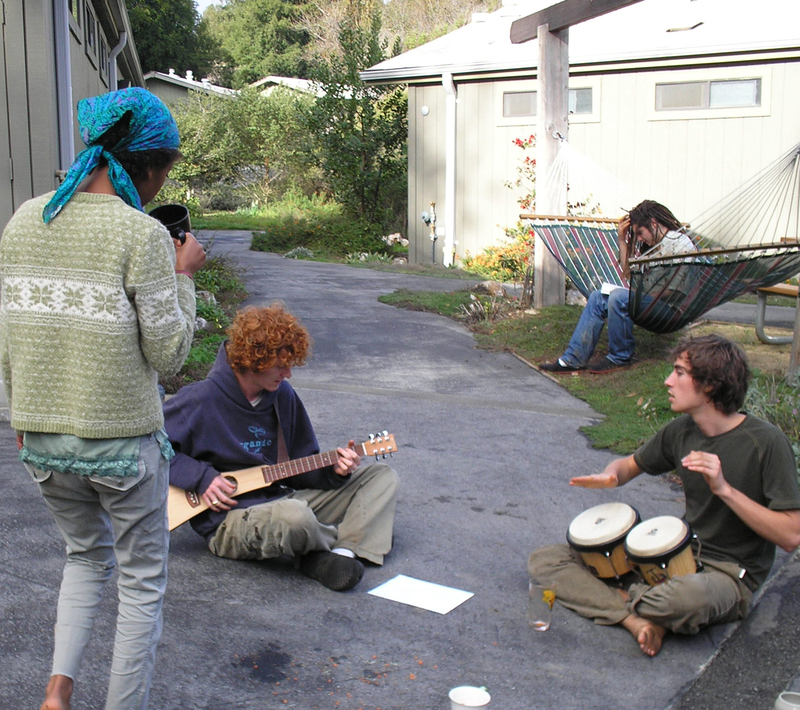 Our sustainable community is growing, an ode to all the earth has kindly given. We are practicing living with the land, one with the land, instead of simply on the land. Our garden is growing up and out, as we all do; our projects are expanding as our eyes open to the opportunities surrounding us. You are what you eat and us Picans are a boundless bunch.